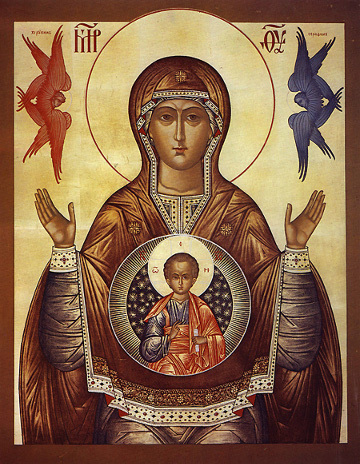 From all eternity, God thought of Mary of Nazareth that she would be the Mother of His only Son. At the Annunciation, when she uttered her "Fiat", this became fact. At the Council of Ephesius in 431, Mary was declared to be the "Mother of God". In 1931, at the 15th centenary of that declaration, Pope Piux XI instituted the Feast day of the Maternity of Mary, for October 11. This feastday was later replaced with the 1st January Feastday under the title "The Solemnity of Mary"
"Mother of God" is Mary's most important and highest title.